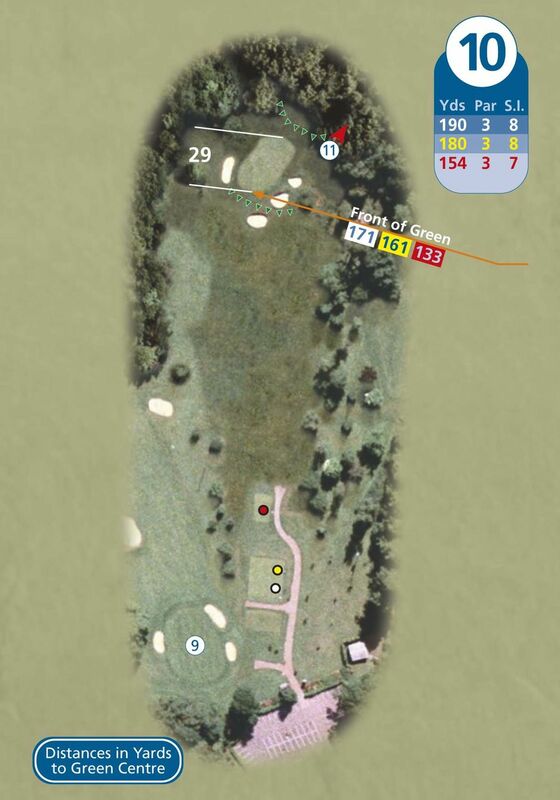 Signature hole of the course and the second par 3. Plays 190 yards from the back tee, players must ensure enough club is taken as bunkers await any under hit shot, in addition the right hand side is protected by a large tree. A par here is always welcomed.